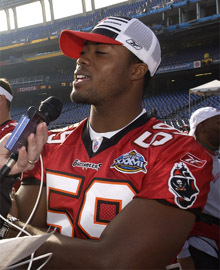 Kevin Murphy is our choice for the best-ever No.59 in Buccaneer history, but almost by default as none of the other owners of the jersey did anything that memorable to warrant consideration. Mike Lemon is always now going to be known for the description of his release ("camp cut" - see his profile picture!) 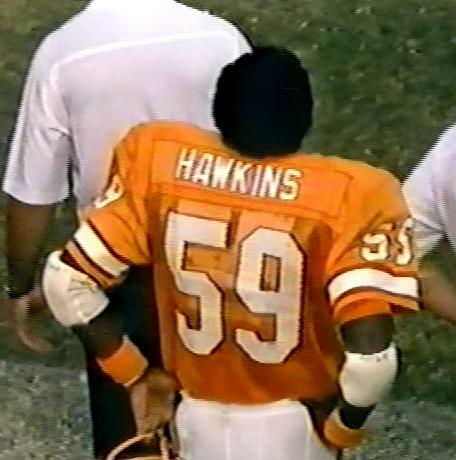 and aside from Andy Hawkins briefly in the early 1980s, this was not a number of great distinction. 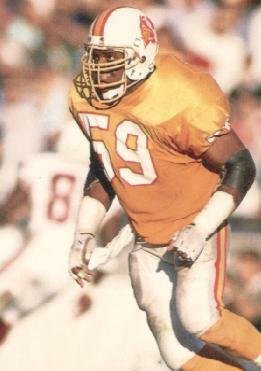 Jamie Duncan had the misfortune to replace a legend at middle linebacker in Hardy Nickerson and could never fulfill the hopes of the coaching staff in that role. 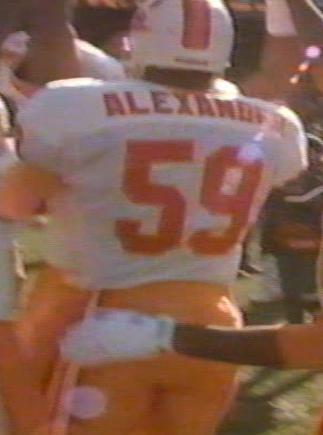 Elijah Alexander was another one of Sam Wyche's 1992 draft picks that did not necessarily pan out in Tampa, but who went on to a long and successful career elsewhere in the NFL. And Justin Smith was probably the 53rd man on the roster when the Bucs went to the Super Bowl and provided the media with some memorable quotes as he and they knew his place at the event. Cato June spent two seasons never living up to expectations in the number or across the defense for the Bucs. 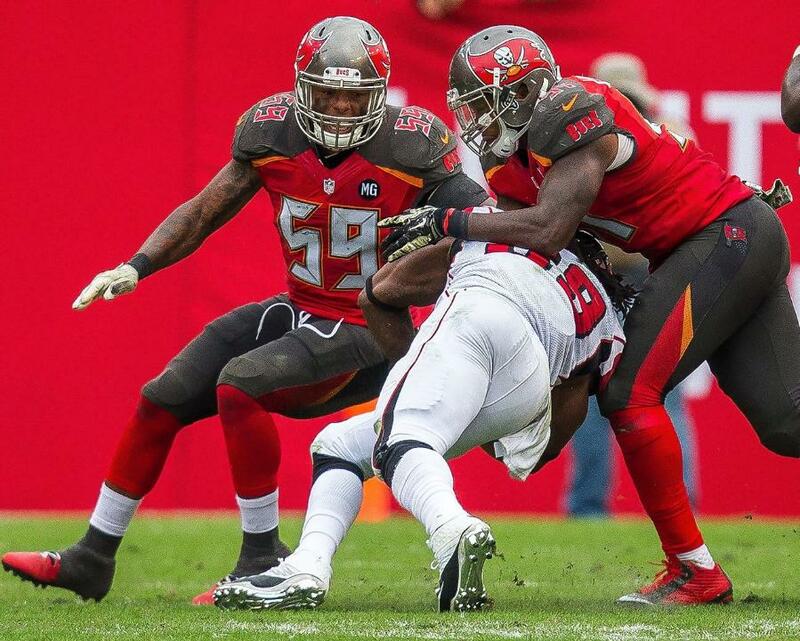 Mason Foster spent four seasons owning the jersey and calling the defensive signals for the Buccaneers but with his time in Tampa over, his career does not warrant enough to wrest the best 59 award from Kevin Murphy.